Not to be forgotten... On the Bricklins Remembered Photos Pages, are some pictures of Bricklins that you are not likely to see on the road or at a meet in the 21st Century. They were built and did grace the roads of the United States / Canada in the 20th Century. On this page Richard Ractliffe shares photos of VIN 1604 that was owned by his father. VIN 1604 was hit broadside by a truck, and his father escaped with a broken leg. If it had been a different vehicle, the injuries may have been much worse. 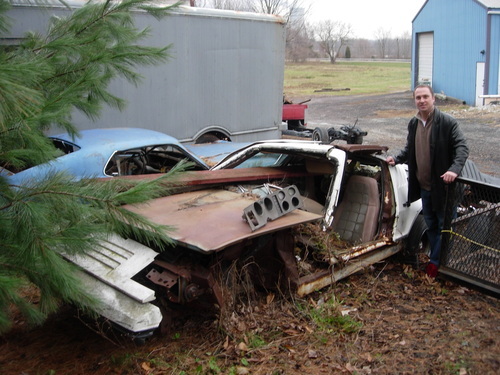 Richard tracked down "1604" in 2007, and fortunately the Bricklin was rescued from the scrapper. If you have any photos that you you would like to share of Bricklins that are no longer around, and know the VIN Number, please feel free to email them to me. Many thanks to Richard Ractliffe for sharing the photos of VIN 1604 and his story. 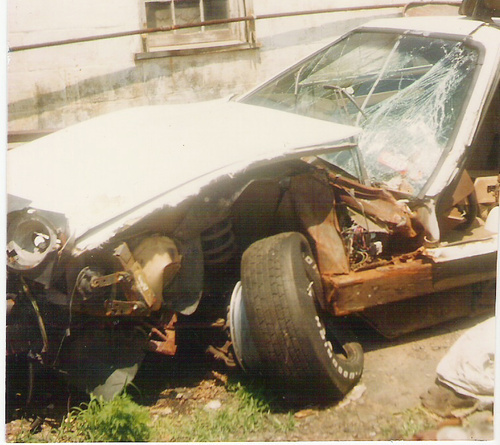 Left: Bricklin SV-1: VIN 1604, circa 1982. 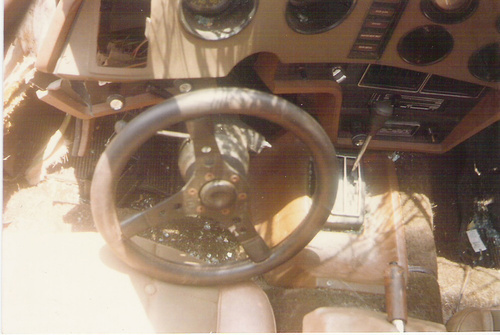 VIN 1604 - Left front area, circa 1982. 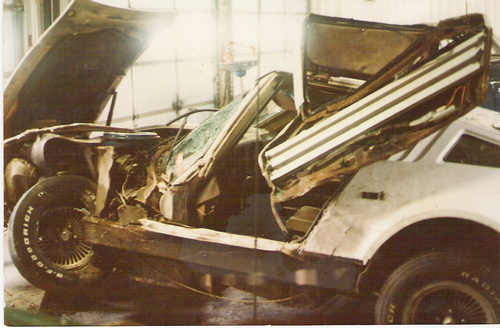 Left: Bricklin SV-1: VIN 1604, interior , 1982.